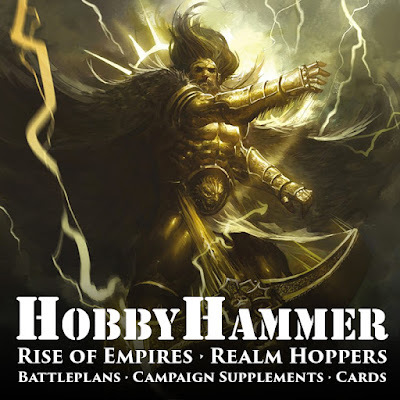 Today I have a special guest post from HobbyHammer where they share with us all of the awesome hobby content they are pumping out over at their website. If you love narrative games and alternative ways to play, then they have something for you. HobbyHammer: Firstly, I want to thank Tyler for letting me write this article on Mengel Miniatures, a truly great Hobby website for all things wargaming! I wanted to share with you all something I have complied. 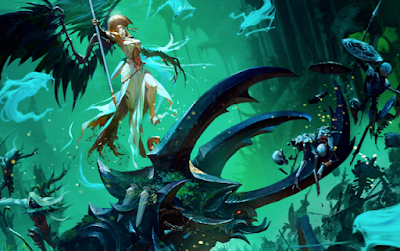 Over the past year of gaming in The Age of Sigmar I have immersed myself in the narrative aspect of the game. I find this edition of Warhammer to be the most perfect for creating custom content, playing however you like, telling the stories of your little toy soldiers. During this time I have created (mainly at first for my local gaming group) different ways of playing, whether that be campaigns, using cards with extra abilities or just small groups of battle plans put together to create a story. It wasn't until the beginning of 2016 that I decided to expand this out to the wider audience, so I took to twitter to let people know about an online campaign I was running. At first I thought this may be 3 or 4 people joining me, it turned into around 30 different people building their warbands, fortresses and expanding their territory on a map of Ghur over at www.theriseofempires.com . It was great! and eventually won by Amy Snuggs. 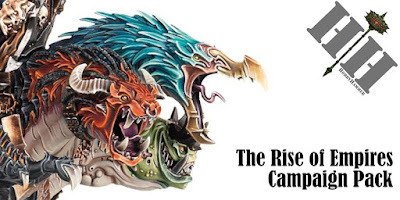 From here I went onto doing different smaller campaigns (including GW's Season of War) and I am now just starting on my now 'Baby' - The Realm Hoppers campaign. Firstly, there is still time to join in, just send me an email or visit The Realm Hoppers to look at the rules. This brought me to actually start to compile a complete list of everything i have done that constitutes as narrative gaming. Everything you find below is completely free to use, distribute and modify. Just download it and play! Here you will find Event Packs, Club Campaign Packs, Battleplans, Times of War rules, Map and Ladder campaigns and more. I hope you will find some stuff useful, whether you just want to play a one off game with your mates using some custom rules, whether you want a narrative tournament pack for an event you are running or you want to go the full hog and use a campaign pack that will last up to 6 months and emerge you in a narrative story you can reenact. A few custom battle plans that I have produced for various events, campaigns etc. Feel free to use and modify any of them. If you would like to modify them please email me and I will send you the document instead of PDF. This is an Event Pack for a One Dayer tournament. Like the 6 month campaign I done to lead up to this event, it is a day of story telling for your General. A mix of Path to Glory, Triumph and Treachery, Coalition and Pitched Battles with elements of Silver Tower and Frostgrave too. For this you will need to also download the Secondary Objective Cards, Treasure Cards and Skills Cards (see below), if you want to use the custom battle plans that are listed in the pack, you will have to wait till after December 2016 as this is for an event I am running in February 2017 and they are top secret! A longer Path to Glory style campaign, that mixes in other narrative elements too. This one has its own custom battle plans, chances to Level up your character, chances to gain and use extra skills and treasures. This campaign will last for 6 months and will take a bit of commitment from your club, but hopefully you'll find it very immersive and great fun! You will find all the custom battle plans either above or on the Rise of Empires Website. Now I know I didn't produce this, but I was lucky enough to be able to run an online version for Games Workshop and therefore had access to the battle plans for it. Which I have put in here as a link for ease of download. This was the first online campaign I produced in January 2016, it is a map based campaign where every battle you won or unit you painted resulted in you expanding your territory. I have included a link to a very large scale map for you to print off and use. I would also recommend starting a thread on tga.community to allow you to post up your results for ease of tracking. Great if you like to see a visual map of your fortress and battles, marking them off as you go along. 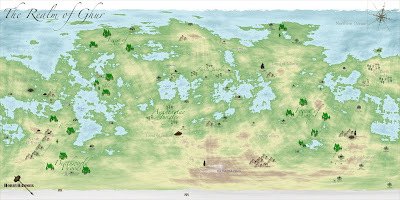 Link to the Large Scale Realm of Ghur map. This is a small escalation campaign I produced around February 2016, it is pre General Handbook and based off some simple Path to Glory style tables, it is a great for playing games with small armies and growing your war band. 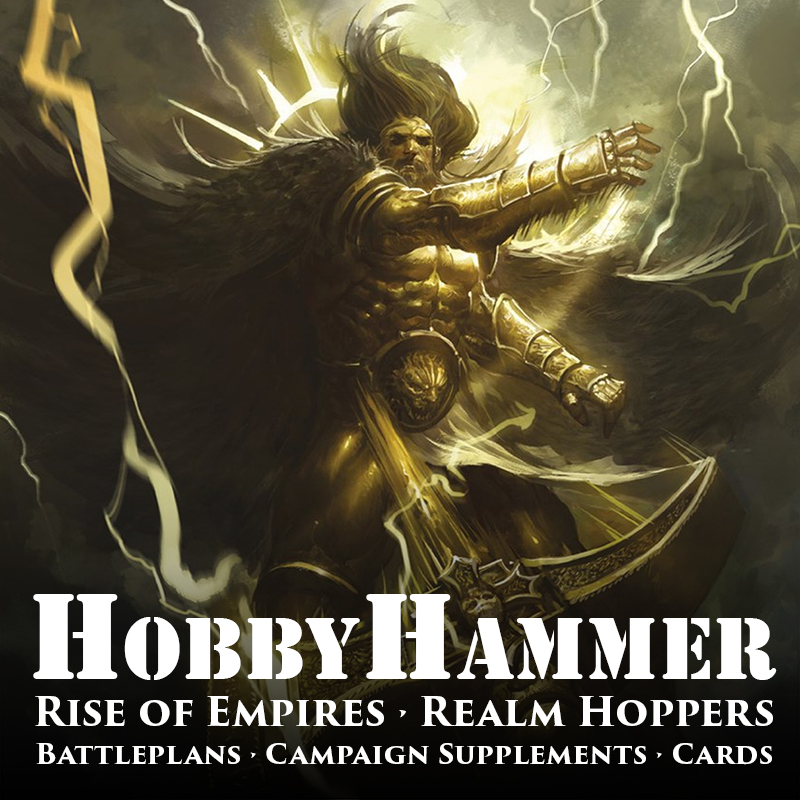 It is also great for playing through the Age of Sigmar Official campaign books and recording your victories etc. This was one of the first campaigns I produced, it was purely for Kye and myself, a 6 game story driven campaign using SCGT points and AoS official battle plans. Feel free to change the armies etc and come up with your own stories. Games Workshop have produced a few Path to Glory tables for a couple of factions, the reason for the lack of others, I believe is down to the fact the battle tomes were not released at the time. I'm sure GW will update these in the next GH but for now, here is some links to some I have created for all other factions. Path to Glory Tables - Click Here! These were produced for the Realm Hoppers campaign, but really can be used for any sort of narrative gaming. I have provided some link in case you want to create your own events or campaigns and only use these elements. Not really narrative, but I find them pretty handy to have downloaded and printed out for games. Think 8th Magic Cards.. I hope you find something in here you can use to make your games better. Of course this post is a snapshot in history. If you want to keep up to date with the list as I will be adding more and more as the months go on. Please go to http://www.hobbyhammer.com. On here you will also find Painting Tutorials, Reviews, Mini Showcases and more. Thank you for taking the time to read and see you soon!